Welcome to Island Music Academy! 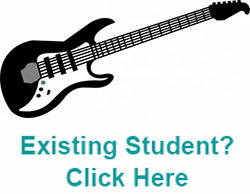 We are so glad you are considering us to pursue your music education. If you have any questions regarding our program, please feel free to contact either of our friendly lesson coordinators for help. Island Music Academy offers lessons in almost every instrument. Lessons are held in one of our private lesson studios at our store. All lessons are taught by our qualified and professional instructors in either 30 or 60 minute increments. 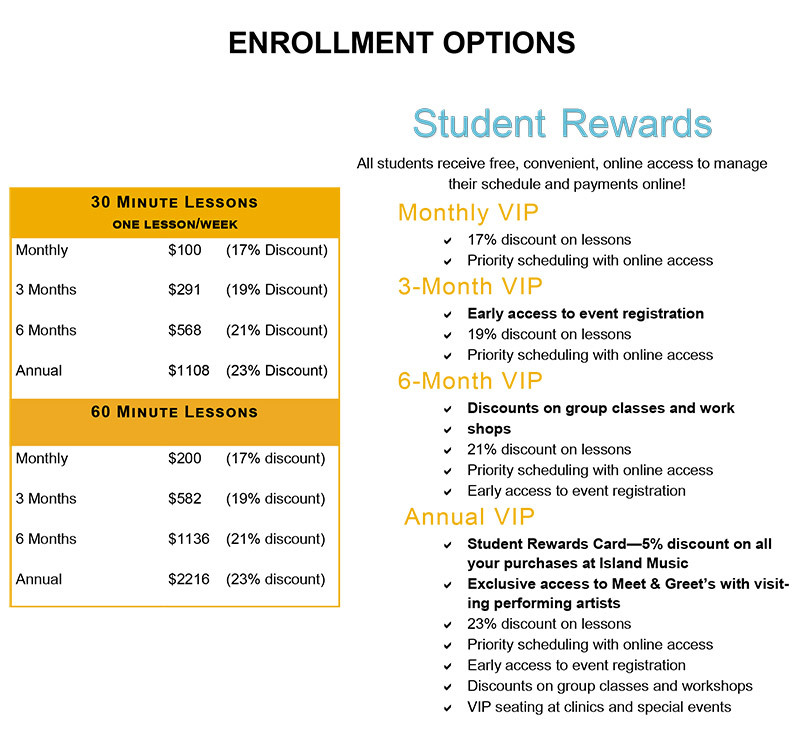 Enrollment terms are flexible and range from one month to annual. We understand every student has different goals and learning styles so our instructors are willing to tailor their teaching methods to best meet your needs. How long do you want your lesson to be? We offer 30 and 60 minute lessons. Younger children and beginners are encouraged to start with 30 minute lessons. Adults and students who are at an intermediate to advanced skill level are welcome to take 60 minute lessons. We hold recitals every six months. Recitals are great ways to motivate you towards achieving your goal so select a term that will get you at least to the next recital. We recommend young kids and beginners try out lessons for AT LEAST one month before deciding on their long-term goals. We offer great perks for our students including discounts, pre-registration to events, and VIP seating! Need help?!? Give us a call anytime at 301-392-3960 and we can walk you through the steps. You can also email us at lessons@islandmusicco.com or stop by our store in beautiful downtown La Plata!